Chilly weather outside? Not great news for an RVer like myself and so many others. Luckily, each motorhome comes equipped with a decent propane furnace which keeps everyone warm inside the vehicle. But like most things, furnaces can malfunction. Maybe they won’t ignite, or the igniter is busted. Perhaps a fuse is blown, or a terrible smell is spreading. Whatever it is, an RVer ought to have a handy RV propane furnace troubleshooting guide. Luckily, I’ve compiled a list of tips dealing with this particular subject. What Is an RV Propane Furnace? Where Is the RV Furnace Located? Do RV Furnaces Have Filters? As its name suggests, it’s a propane-powered furnace for the motorhome. Each RV comes with furnaces of different sizes, types, and capabilities. Having a functioning one inside the RV is extremely important, and sometimes even the smallest glitches can cause huge issues. With most RVs, the furnace is located on the lower side of an RV. I can usually tell what the furnace looks like and where it is based on the outside vents. It’s not a coincidence that the furnace is where it is. Most of the ducts that run from the furnace run from the bottom through the entire RV, heating it up evenly. In addition, it’s easier to access and perform repairs from its position. The short answer is — yes and no. Usually, they don’t, but filters can be added if an owner feels inclined to do so. It’s important to note here that, should anyone install a filter on their RV furnace, they have to pay attention to how restrictive it is, or rather — isn’t. Airflow is very important, and a thick filter can do more harm than good. With modern RVs, removing the furnace is easy. However, I shouldn’t have to point out to only do that when the furnace is cold, i.e. hasn’t been used for several days. There are several key steps I should do before I can remove my furnace. First, I must make sure everything related to the furnace is turned off since I don’t want to be shocked by electricity. Next, I disconnect the gas line, the vents and any wiring connecting it to the thermostat and other gadgets. These wires might even have to be cut and reconnected later. I then unscrew any section of the furnace that’s screwed to the base and I can slide it out with no issues. Considering that the installation of an RV furnace is almost the exact opposite of its removal, I won’t repeat the steps in too much detail. It’s important to connect the gas line, the wiring, and the vents properly and securely. If not, they can cause lots of problems in the future. In addition, if the furnace “slides” about, it might be a good idea to harness it with something, like screws. One of the issues that will pop up in this text deals with noise, specifically squealing. This can be caused by motor bearings, and the quickest solution is lubrication. However, there’s the question of how to lubricate them. Most people make the mistake of pouring too much oil on, “drowning” the bearings in it. That’s not how it should be done. For maximum effect, a few strategic drops of oil will suffice. Most of the problems will get addressed here, but I’ll summarize them nonetheless. Some of them relate to the furnace not igniting, even if other elements are working fine (such as the fan). Other times, the furnace won’t switch off. Then there are various noise-related problems, such as clicking, humming or squealing. Of course, any foul smells usually indicate problems with the furnace as well. Each of these problems has a suitable solution, some of which even the owner can apply without the aid of an expert. This is a fairly common problem every RVer faces. The furnace not igniting can happen because of several reasons, so whenever I have an issue like this, I follow a few steps. First, I check if I have any propane left. If not, I refill the tank as soon as I can. However, if that’s not the problem, I take a look at the thermocouple. In case it’s broken or damaged, I buy a new one and replace it. Thermocouples for RVs aren’t expensive, and anyone can replace them. 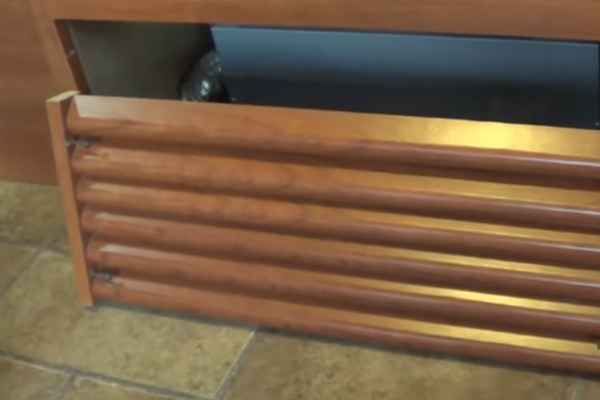 Another common issue is when the blower begins to blow, but the furnace still isn’t igniting. Normally, this is an electrical issue. If it happens to be low power, I merely replace the battery with a one that has the right voltage. This usually solves the problem. I’ve heard people have this problem plenty of times in the past. There will be times when the furnace fan clearly works but no heat comes from it. The first thing I suggest be done here is to check for batteries or poor electrical connections to the motor of the blower. No electricity results in less force to ignite the sail switch. However, a different problem might be insufficient ventilation. If this is the case, I clean up all of the heat registers. Even a small blockage can obstruct the air flow, so doing this properly is important. People get confused, and sometimes even scared when this happens. After all, a furnace shouldn’t be blowing cold air, right? Once again, the low battery voltage can be the issue here, so the best thing to do is to replace the battery. A weak power source won’t trigger the sail switch, and it won’t regulate the air flow. However, the sail switch itself can be the cause of this issue. Maybe it’s rusted, or there could be an insect nest somewhere inside of it. Normally, I check the sail switch thoroughly every week just to make sure it functions properly. And then, there are the propane tank problems. Maybe it’s the moisture in the valve, the regulator or even the hoses freezing at low temperatures. Or maybe there’s too much butane within the propane tank. Normally these issues have to do with the RV propane tank dealer’s supplier. The only solution I can think of when it comes to this is to replace the dealer. The igniter is the part of the furnace that lights it up, and once it’s broken, there’ll be no heat. Any number of reasons can be behind a broken igniter. Usually, I first check the pilot light. In case it isn’t working, the problem is most likely with the thermocouple, which I check immediately after. Sometimes, the thermocouple needs to be replaced, which I do as quickly as possible after the check. However, the air filter, the blades or even the motor can be an issue. That means I need to clean them thoroughly and lubricate where necessary. Burnt fuses or tripped breakers can also cause problems with the igniter. I always go over the electrical service panel if I suspect this to be the case. Next, I relight the pilot heat and proceed to check the temperatures. If necessary, I clean up the burner ports or the pilot orifice and adjust the burner’s air shutter, just in case. Finally, I try to light the pilot with a match like I would on regular gas stoves. If none of these steps work, the igniter is definitely broken, and I proceed to replace it. Replacing igniters should be, and I have to stress this, something that an RV specialist should do. Whenever people ask me how to replace igniters, I always tell them to call a repairman, as igniters are very delicate. However, there are ways for me to replace the igniter myself if for some reason I can’t get a repairman to do it for me. After I switch off the furnace, I move to the access door and open it. Next, I disconnect every wiring harness of the furnace and unscrew the igniter from its position. Then, after buying a new igniter, I insert it into the furnace with its tip facing the inside and screw it into place. Finally, I reconnect the wiring harnesses and shut the access door. Of course, I always ignite the burner to give the new igniter a test run. In case it doesn’t work, I retrace my steps or just get a different igniter. It’s surprising how often this problem pops up. There will be times when the furnace backfires severely. Most of the times, this happens just after ignition. Any number of issues can be the cause of this. For example, the igniter can be malfunctioning or dirty, and, as such, can allow for gas build-up. Once gas accumulates, it “bangs” after ignition loudly. I’ve already outlined how to replace an igniter earlier in the text. However, the combustion impeller could also have some damage, resulting in less air flow. Alternatively, the exhaust could be filled with debris build-up or an insect nest or two. All of these prevent air flow and allow for gas build-up. This means that some cleaning is in order. This gas valve is what regulates gas flow to the burners and the pilot light. It might be a simple tool, as it only opens and closes, but it’s extremely important to the furnace. Gas regulation is key to proper heat distribution. In case the valve isn’t working, I check two major parts before considering replacing it. The first is the pilot light — I have to relight it, and if I’m successful, the valve will work. The second part I check is the thermocouple. If the thermocouple isn’t generating enough voltage, replacement should follow. Also, while I’m checking the thermocouple’s voltage, I go over the voltage of other mechanisms linked to the circuit too. Naturally, if none of these are the problem, the gas valve is most likely defective. When that happens, I replace it. Just like with igniters, I always advise consulting a professional when replacing the gas valve. Sometimes, only the valve coil might need replacement, not the whole valve itself. There will be times when the gas levels are really low. This can be a problem, as there will be no flame, or it won’t stay on for long. A few issues can be the cause of this. The easiest one is having an empty propane tank. If that’s the case, I either refill it at a proper facility or outright buy a new one. Never take your RV anywhere without a full furnace propane tank. Low BTU ratings can also be the culprit behind low gas pressure. However, the single most common reason has to be the leaks. Hoses of propane tanks will occasionally get damaged, and when they do, they must be replaced. I would also suggest buying a propane cylinder that also has a leak detector and a gas gauge. This handy tool will show if there’s any difference in pressure within the lines. That way you can be sure if there’s a leak or not. Naturally, you won’t always be able to locate a leak. That’s why I always take the tank to a proper serviceman to check for them. It might cost a bit of time and money to do this, but it’s always better to be safe than sorry! I’ve talked about leaks earlier, and if anything is a telltale sign of a leak, it’s the smell of propane. To put it simply, it’s impossible for a functioning propane tank to regularly let out the smell of propane. What IS possible, however, is for the propane smell to come from a new furnace or even a functioning furnace that hasn’t been ignited in a while. In other words, it’s not a problem if the smell comes out once and then disappears with gradual use. Continuous odors, however, are a problem. In case there’s a gas leak, I don’t think twice at all. I disconnect the tank and immediately buy a new one. It’s important to dispose of the old tank at the proper disposal facility, for environmental reasons. This particular issue might actually not be an issue at all. It really all depends on the amount and the color of the smoke. If, for example, the smoke comes excessively from a new furnace, that’s perfectly fine. It’s just the new furnace “getting used to” the heat. Normally, the amount of smoke will go down very soon, and it will work just fine. However, when there’s a lot of smoke with older, used furnaces, there’s most likely a problem there. The problem is especially bad if there are black smoke and black residue. In that case, the best thing to do is to clean up the burner thoroughly. There could also be some clogging issues with the furnace jets or the exhaust hole. Both of them will require unclogging and cleaning. RVers, especially new ones, usually complain about the odor that reminds them of burning rubber. It isn’t pleasant, and it usually sets off red flags. A burning rubber smell must be a bad sign, right? Well, not exactly. Most companies that build furnaces will use a variety of oils to lubricate the metal. Some oil residue will, therefore, remain in the furnace, even after years of continued usage. Normally these smells only come from time to time. In fact, my own furnace had that same “issue” four months ago. The best thing to do is to just let the furnace work normally. It shouldn’t take long for the smell to dissipate. There are some RVers who’ve mentioned the smell of burning rubber not going away. If that’s the case, the only solution is to visit the closest RV repairman and have them look into it. However, even with persistent smells, the answer is most likely the oil residue. It just takes longer to go away with some RV furnaces. At times, the blower just won’t blow. It makes no noises, nor does it crackle or vibrate. It just stands there motionless. In case this happens, several things might be the problem. Normally, I first check the power connections. One or two connectors might have come loose, so I reattach them. However, I thoroughly clean them first, just to be on the safe side. Other issues can include an out-of-place temperature selector, broken or disconnected wiring or continuity issues with the thermostat. The first one is easy to solve, as it only includes resetting the selector to the desired position. Faulty wiring, on the other hand, will always require help from a professional repairman. When it comes to the thermostat, I either replace it or remove any problems with its individual parts (wiring, the relay, the motor, etc.). Once the furnace starts, it should shut off when the desired temperature has been reached. However, some furnaces continue working even past this, which can be dangerous. If my furnace doesn’t shut off, I immediately check the thermostat. In 90% of cases, that’s the issue at hand. However, the furnace can continue working even after the thermostat has been pulled out. My very next step is to cut the thermostat wire going into the furnace itself. Bad wiring is a common issue and usually requires professional assistance. Naturally, the thermostat might not be the issue altogether. Sometimes, it’s the heater or even the control board. If this is the case, I replace them as quickly as possible. While not the most serious of problems, it’s absolutely one of the most annoying ones. The RV furnace will fire up,but for some reason won’t stay turned on. It shuts down and won’t maintain any heat. Luckily, the problem is common enough that every technician or repairman will give the same answer — it’s the control board. The flame would start up, but if it isn’t steady, the safety valve closes up and extinguishes it. The control board contacts usually corrode from overuse, and it’s important to take care of them from time to time. Usually, the flame sensor contact is the first one to go. Naturally, I could simply buy a new control board and replace the faulty one, which works just as effectively, if not better. Now, this isn’t just a problem for me. It’s also the problem for my neighbors. Nobody likes a loud RV furnace, especially the one that rumbles into the night like a motorcycle. Usually, this type of noise has something to do with the burners. If it does so, all I have to do is adjust the air-to-fuel ratio. For this, I merely need a screwdriver and some screws and wing nuts. However, not everyone knows how to do this, so I suggest asking a professional or an RV owner with similar problems. Of course, there could be any number of other issues when it comes to loud noises. If it’s the fan making the noise, soundproofing can help. Pilot lights and gas lines can also be the cause of this, and they will require checking as well. Other possible “culprits” could be the sail switch being on, blower motor problems, or the time delay relay switch being closed instead of open. The solutions to these are closing the relay switch and the sail switch, as well as replacing a faulty blower motor. Unlike the roaring noise described above, the squealing noise isn’t that common, but it’s still an issue. Usually, this noise comes either from the fan or the motor. Normally I just lubricate the motor bearings and it works just fine, without any unnecessary, annoying squeals. However, in case of faulty bearings, I always recommend proper replacement. It isn’t cheap, but it’ll fix the problem. Sometimes, the fan itself will not be aligned properly and will rub against the “birdcage.” If that’s the case, I merely align it to where it should be. However, I strongly advise seeking out professional help for this step. Normally there are two possible scenarios where the furnace would start clicking. The first is not that dangerous — it’s merely the igniter trying and failing to start the furnace. Aside from the igniter breaking down, other possible problems could include a faulty thermocouple, a bad pilot light or a shut gas valve. I’ve outlined how to deal with all three earlier in the text, as well as how to deal with a faulty igniter. However, clicking doesn’t always include the igniter. In fact, there might be a far more dangerous problem. I’ve once had to deal with water in my electrical compartments. There wasn’t a lot of it, but just enough to begin eating at the fuses and the wiring. In case this happens, paper towels and hair dryers are the way to go. I would get rid of as much moisture as I can, then proceed to replace all the fuses. Sure enough, the clicking would stop. Sometimes an RV furnace will blow a fuse while working. This is pretty standard and it only requires putting in a new fuse. But there will be times when the furnace will blow a freshly replaced fuse as well. If that happens, something else might be the problem. In my experience, it usually comes down to faulty or loose wiring. Considering how frequently animals tend to “invade” RVs, it’s possible that a mouse or a rat might have chewed off some wiring, leaving it exposed. If it touches a different wire, it can cause a blown fuse, just like with any piece of electronic equipment. In that case, the best thing to do is to either replace the wire (or the whole mechanism) or just use electrical tape. It’s important to keep in mind that electrical tape is just a temporary solution. When it comes to the electronics, I always contact a professional. Or instead, I buy a new part for the furnace and replace the faulty one myself. Another common issue regarding blown fuses includes the blowers. 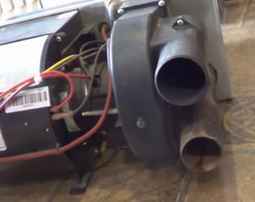 Normally, RVs have two separate blowers — for air regulation and gas removal. If either one of the two fails in some way, the fuses will keep blowing. Of course, a faulty blower must be replaced as soon as possible. I’ve said this before to my RVer friends, and I’ll say it again. Never, under any circumstances, go anywhere with just one furnace battery. Most of the time that one battery will run out during a cold night, and that could be troublesome. Usually, I have at least two batteries for the furnace in my RV. That way I can charge one while using the other safely. Three batteries might be the golden standard, though, but not more than that. Naturally, there are batteries out there that get drained pretty quickly, even in regular weather. Or they just don’t recharge properly. Most of the times, they’re just defective and require replacing. However, sometimes it’s the wiring of the furnace that’s the problem. In that case, I recommend a thorough cleaning. If the problem is worse, a technician might have to come over and take a look at it. Will an RV Furnace Work Without a Battery? Well, yes and no. If I plan on using my RV at home and hooking it up to shore power (i.e. my house or an outside generator), I technically don’t need a battery as a power source. However, there’s always the risk of a power outage, in which case most of the RV systems will shut down instantly. In my opinion, there should always be a battery inside the RV furnace. A lot of RVs require a battery in their converters, as it acts as a buffer. Simply hooking them up to a shore power source won’t do any good then. The vast majority of RVs come with built-in propane gas furnaces. Recognizing one such furnace is simple. If there’s a propane tank, it’s probably gas-powered. But it goes a little beyond that. 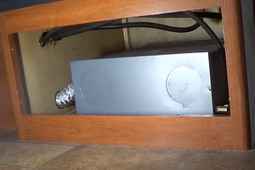 Propane furnaces have burners, igniters, thermostats and numerous ducts running throughout the whole RV. The reason why people still like using them is because of how reliable they can be. However, propane furnaces have their setbacks as well. Lots of excess propane gets wasted, for instance. In addition, they heat up the entire RV, which can be both good and bad. Some people prefer to have a “cooler” section of their motorhome, and the propane furnace always spreads heat evenly. Electric furnaces are far more portable. I can take one in any section of my RV and heat whatever area I choose to. In addition, they run exclusively on electricity, so there’s no wasted energy or harmful emissions. They have their drawbacks, however. For example, most RV sites will charge the use of electricity to power the heaters. In addition, the box-heaters can tip over, and that can be a potential fire hazard. Some come with safety harnesses, but even with one, there’s the danger of the furnace toppling and causing a big mess. I ought to stress that not all of the solutions above apply to all RV furnace models out there. In fact, each specific brand has its own unique issues. What follows is a brief summary of more popular brands, as well as potential places users can look to for solutions. Jayco have been on the market since the late sixties and are normally a mark of quality. However, their furnaces tend to suffer from numerous issues listed in this text. The most common issues involve igniters, lack of heat, or even furnaces not starting. Luckily, the good people at Jayco offer customer support and have an open discussion forum. Any Jayco RV owner should pay them a visit at www.jaycoowners.com. There’s really no need to introduce someone as powerful as Keystone. Just like Jayco, Keystone is a subsidiary of Thor Industries, though it’s younger than Jayco by about three decades. In fact, the Keystone forums are well known for their openness in helping their customers and fellow RV enthusiasts. They can be found at www.keystoneforums.com, with hundreds of threads discussing various RV topics. One such topic is furnace issues. The most common ones with Keystone models appear to be intermittent heating, lack of air flow and lots of clicking noises. Most of those issues are addressed in this text. In fact, most of the solutions I myself found for these issues came from the Keystone forums. Forest River shares its “birth year” with Keystone, having been founded in the mid-nineties. They specialize in motorhomes, buses, pontoon boats, and cargo trailers, among other things. And just like Keystone, they maintain a lively online presence at www.forestriverforums.com. In terms of Forest River furnaces, they usually have issues with no ignition, cold air blowing or will simply not start. A few people even reported problems with thermostats. When compared to other manufacturers, these problems don’t seem as bad. After all, a thermostat can be easily replaced with any RV model. Unlike the three manufacturers before it, Suburban Manufacturing does not have a discussion forum when it comes to its RV products. This is actually an issue, considering they specialize in products related to motorhomes, especially furnaces. However, they do offer support services throughout the United States, and the locations of these service centers can be found at this link www.airxcel.com/suburban/service-support/service-locator. The reason I’ve mentioned the lack of forum presence of Suburban is that the issue from this subheading is a one a LOT of Suburban users complained about. However, there are solutions to it. If I were to have an ignition problem with a Suburban RV furnace, all I’d have to do is clean up the burner and check the wiring. Duo-Therm is a company that specializes in RV furnaces. As such, it’s a common topic among online communities, considering how often RVers use their products. Most of the issues that a Duo-Therm furnace can have involve air filters, valves, debris build-up and ignition. Most of the steps outlined earlier in the text can help maintain a Duo-Therm furnace for a very long time. Atwood is probably the oldest of the manufacturers listed here, having been founded in 1909. However, Dometic became the majority owner of both Atwood and Duo-Therm, so their products are largely sold under the Dometic label. 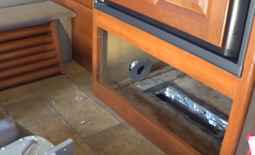 Nevertheless, they remain popular, which is why so many people want to know how to fix their Atwood RV furnaces. These issues have already been covered and include no ignition, no heat production when on, clogged venting areas and filter problems. Luckily, most service centers handle Atwood RVs, so if troubleshooting doesn’t help, professionals will. RV propane furnace troubleshooting is but one of many topics RVers like myself tend to talk about often. However, this isn’t without reason. Maintaining the furnace must be a priority since it provides heat for everyone within the motorhome. And without proper furnace care, an RVer’s very life can be in danger. But it’s not all doom and gloom. Proper RV furnace maintenance can provide people with warm nights, safe winter days and an overall enjoyable motorhome experience.